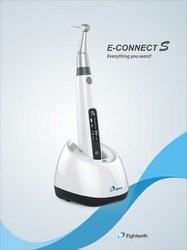 E Connect S - Wireless endodontic motor with built-in Apex locator. These are the last teeth of upper and lower jaws. These teeth which fail to erupt are often removed due to lack of space or obstruction by other teeth. Say the word - root canal or RCT and most patients pale a couple of shades. The pain/discomfort of an RCT is so well known that hardly anybody is willing to undergo the procedure without a great deal of coaxing. Root canal treatment (also known as endodontic treatment) is necessary when the inside of the tooth (pulp) and surrounding area becomes infected as a result of cracking, decay or injury. Each tooth has soft tissue in a space that is present in the centre which is called - The Pulp. The pulp supplies nutrients and nerves to the tooth. It extends up to the root tip. When the pulp is diseased or injured, the pulp tissue dies. 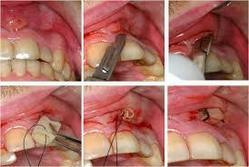 - An opening is made through the crown of the tooth into the pulp chamber. At Tamara Clinic we believe that a healthy, good-looking, natural smile is not just something for the lucky few, but something we can all enjoy, and what a difference it can make to your confidence! Our clients are constantly telling us what a difference cosmetic dentistry has made to their lives. Get the affordable cosmetic treatments in the best cosmetic clinic in Chennai now. Since 1950s dentists have been started doing root canal treatment to save the tooth.But in the last 30 years root canal treatment is a commonly performed procedure.